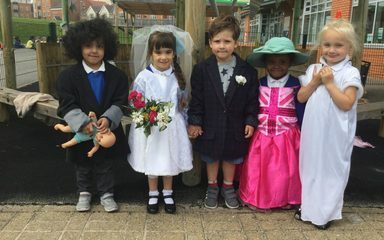 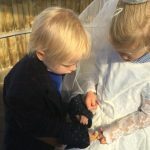 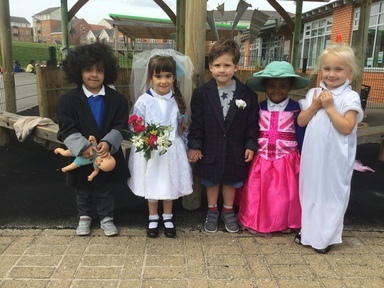 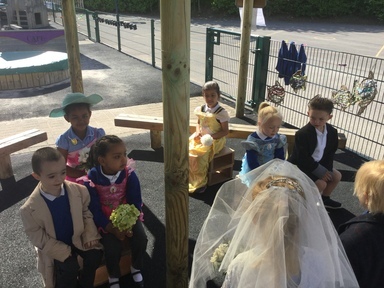 The Royal Wedding inspired us to look at different weddings that we may, or may not have been to. 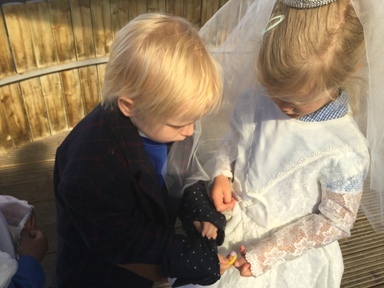 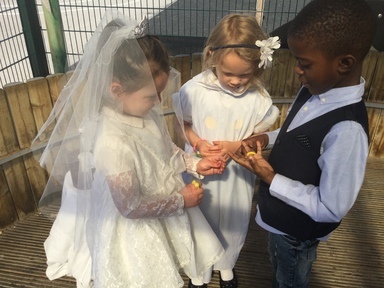 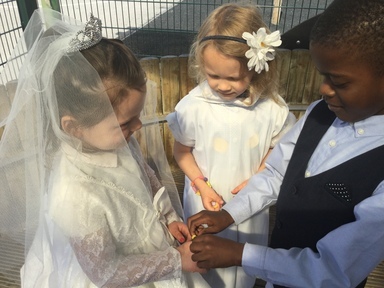 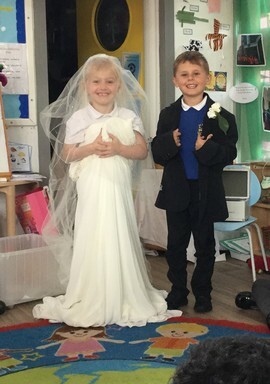 We enjoyed sharing photographs and looking at special objects from real weddings such as dresses, rings and flowers. 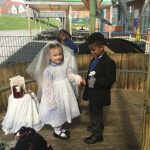 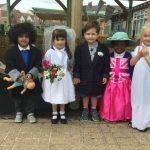 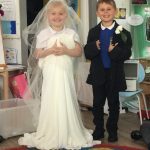 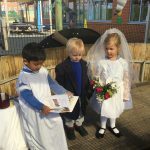 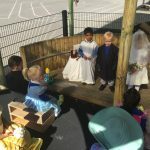 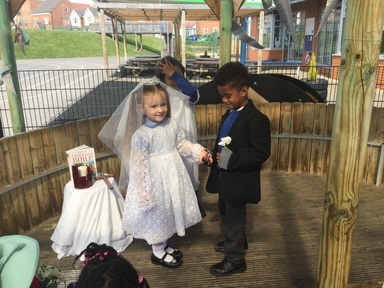 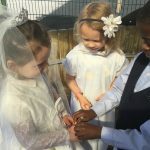 We decided to have our own weddings at school! 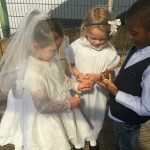 We planned a traditional, Christian wedding. 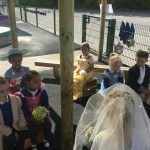 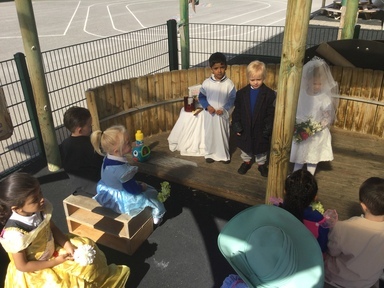 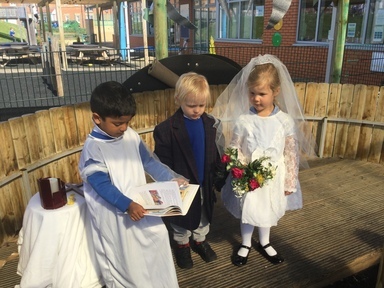 Everyone got involved and played the part of the Priest, the Bride, the Groom and the Bridal Party.